Two Brandon musicians who will be competing in the National Music Festival later this summer will have a send-off performance at Brandon University (BU) this Sunday. Kayla Solomon and Jammie Lee will perform at 2 p.m. on Sunday, July 31 in the Lorne Watson Recital Hall at Brandon University’s School of Music. The two were selected in May at the Manitoba Provincial Finals and will head to the National Music Festival in Edmonton from August 11–14. Solomon, a student of BU Music professor Dr. Ed Bach, will represent Manitoba on trumpet in the Brass at the National Music Festival. She has completed the second year of a Bachelor of Music program at BU. Her musical training began when she was three, in classes of Kodaly Music, followed by Music for Young Children. 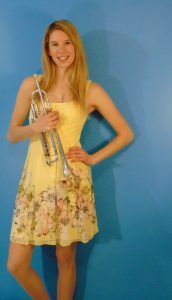 Following piano and theory lessons with Heidi Peters she completed Grade 9 in piano, and for three years she studied violin before taking up the trumpet at age 12. While in school, she joined Band, Wind Ensemble, Jazz Band, Choir, and Vocal Jazz. In February she will tour Cuba as a guest soloist with the band from her high school, College Jeanne-Sauvé. Solomon has received scholarships in both academics and music, and performs with several Brandon University ensembles. She is the youngest member chosen to tour with Market Street Brass. She participates in several sports, including volleyball at the provincial level. She will be joined by pianist Danielle Guina. Lee, 15, has completed Grade 9 at Vincent Massey High School. Before he came to Canada, Lee was enrolled in the prestigious Musical Academy for gifted children at the Seoul Arts Centre, where he won several awards. After he immigrated to Manitoba from Korea, he studied piano for five years with Dr. Kyung Kim. Since September 2015, he has studied with Dr. Lawrence Jones, professor emeritus of the BU School of Music. 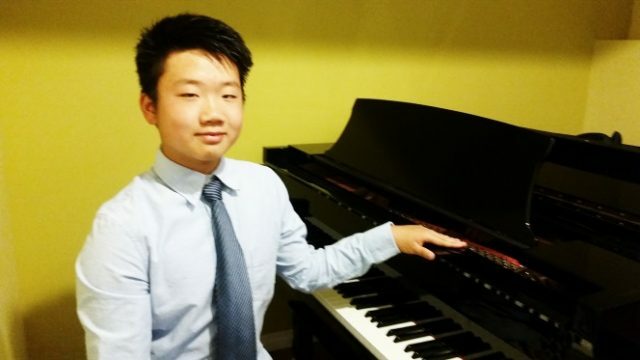 Since arriving in Canada, Lee has advanced through several competitions, including the Canadian Music Competitions in 2011, where he placed second in his age group (9) for performances of a piano concerto by Mozart. In 2015, he was the youngest ever winner of the Western Financial Group Tudor Bowl in the Brandon Festival. The winner of many scholarships, he has performed throughout southern Manitoba. On June 26th, 2016, was invited to perform with the Winnipeg Symphony at its Open House “Made in Manitoba” concert. He has just returned from a two-week piano camp at the University of Minnesota, organized by Kyung and Michael Kim. While at Waverly Park School, Lee took up trombone (concert band and jazz). He continues these at Vincent Massey. He has also won awards in badminton, his preferred sport. Sundayʼs recital will give Solomon and Lee a chance to try out their Edmonton pieces before they travel to the National Music Festival. This festival of classical music brings together the best students from every province, to perform in the top venues in the country, to interact and hear and learn from each other, to have workshop sessions with Canada’s best adjudicators, and to compete for the top prizes in Canada.